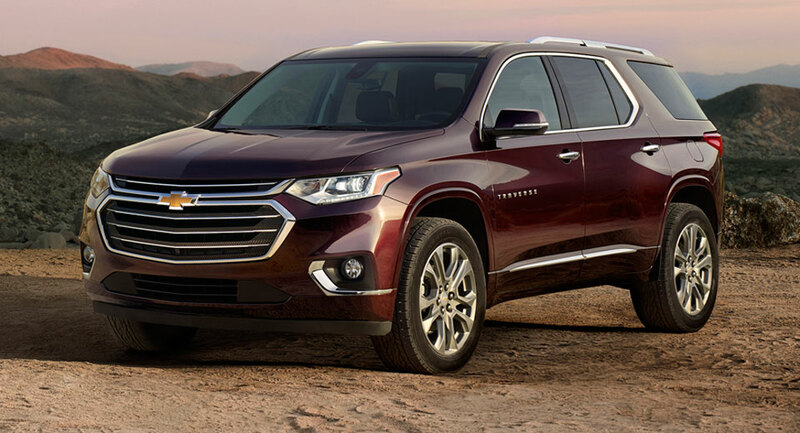 Chevrolet has just introduced a thoroughly redesigned Traverse for the 2018 model year just before the Detroit Auto Show opens its doors. 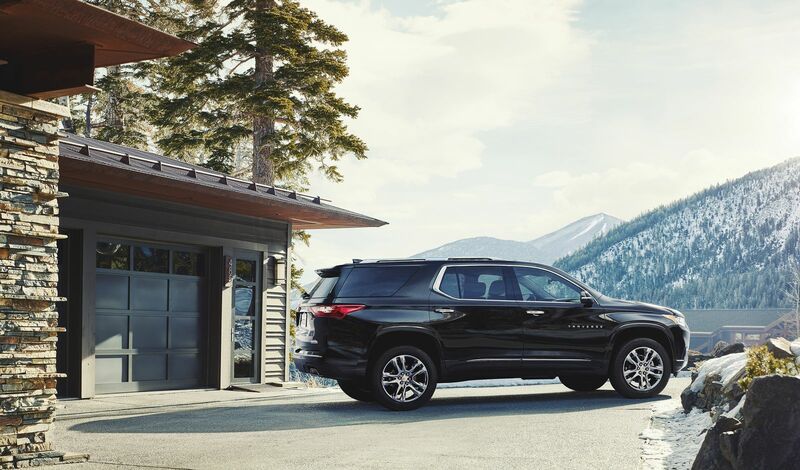 Joining the new GMC Terrain in GM’s fleet of new SUVs, the 2018 Traverse has been adorned in thoroughly redesigned bodywork and welcomes a host of new technologies aimed at making it the best in its class. 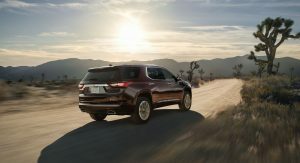 The American carmaker has included a number of new technologies into the updated Traverse aimed at making it safer than ever before. 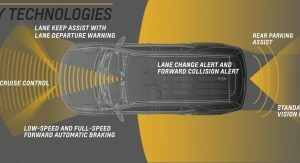 Among these is a Surround Vision system, Front Pedestrian Braking, Forward Collision Alert and Low and High Speed Forward Automatic Braking. 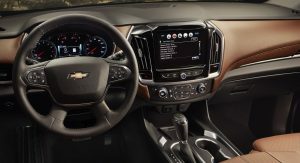 Additionally, the 2018 Traverse includes the Teen Driver function as standard which allows parents to set certain controls and performance limits to the car when their children are behind the wheel. 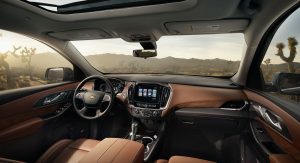 The cabin of the latest Traverse also benefits from a flurry of new connectivity technologies including available 7- and 8-inch MyLink infotainment systems supporting Apple CarPlay and Android Auto. 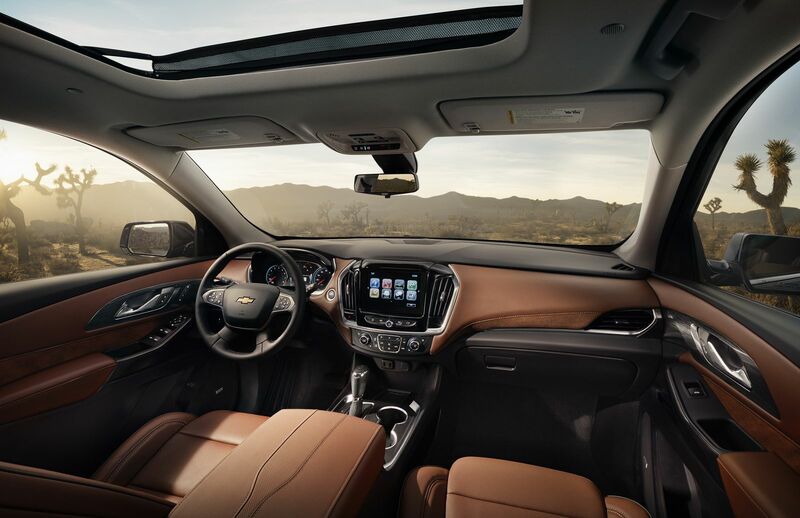 Additionally, there is an OnStar 4G LTE WiFi hotspot, an array of USB charging ports and Chevrolet’s Rear Seat Reminder feature for all trim levels. 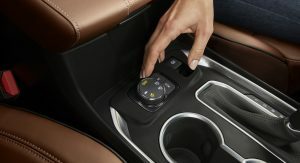 In terms of engines, customers are offered the choice between a new 3.6-liter V6 or an Ecotec 2.0-liter inline-four. 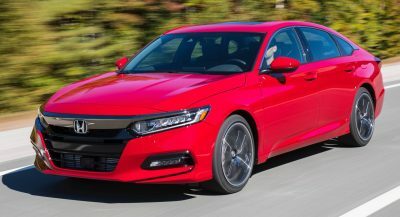 The V6 delivers 305 hp at 6,800 rpm and 260 lb-ft (350 Nm) of torque at 2,800 rpm while the smaller 2.0-liter makes do with a still-respectable 255 hp and 295 (400 Nm) at 3,000 rpm. 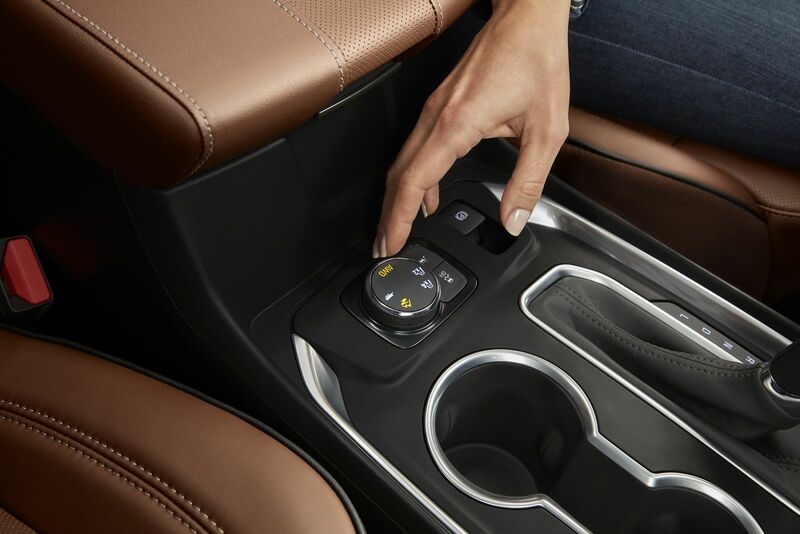 Both come mated exclusively to a nine-speed automatic transmission and include stop/star technology. 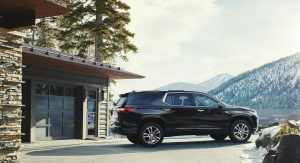 Entry-level variants have front-wheel drive but all-wheel drive is available for some models and in the range-topping form, includes twin-clutch technology aimed at optimizing traction in all conditions, including snow and ice. 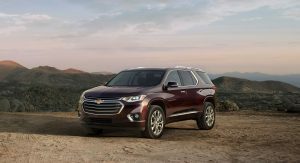 Two new trim levels have been added for the 2018 model year, RS and High Country. As the badge implies, RS is focused on sporty elements and therefore includes a black chrome chrome, black bowtie badge and 20-inch wheels. 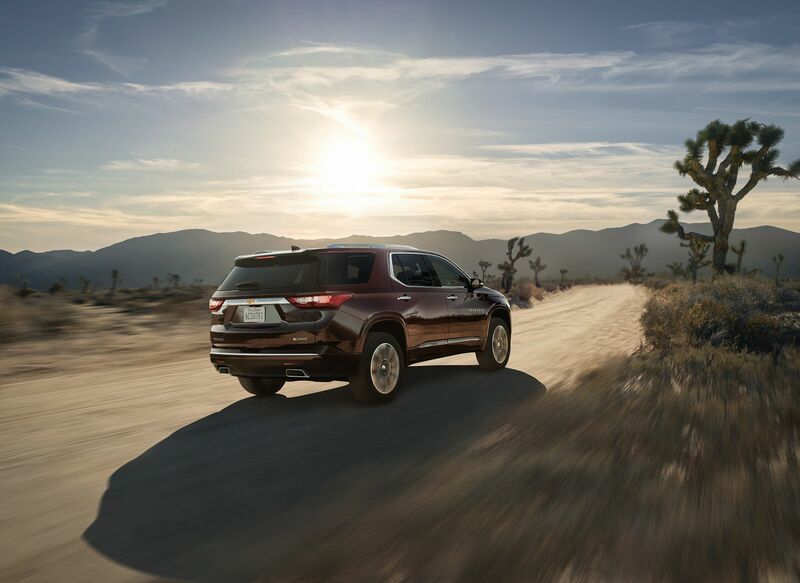 Meanwhile the High County benefits from Loft Brown leather throughout the cabin, 20-inch polished wheels, High Country badging, D-Optic headlamps, power-fold third row seats and the aforementioned twin-clutch AWD system as standard. 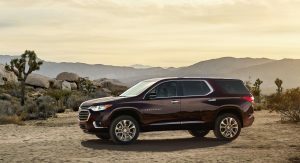 Sales of the 2018 Traverse will start this fall and pricing details can be expected in the coming weeks. Looks good. 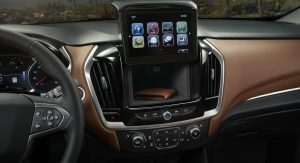 Familiar face but I like how handsome it is and how Chevy’s family face adapts well from car to crossover. 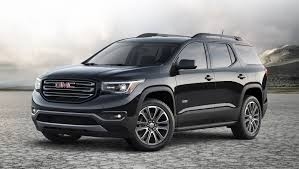 After the Terrain, GM needed something to redeem themselves. I quite like it. 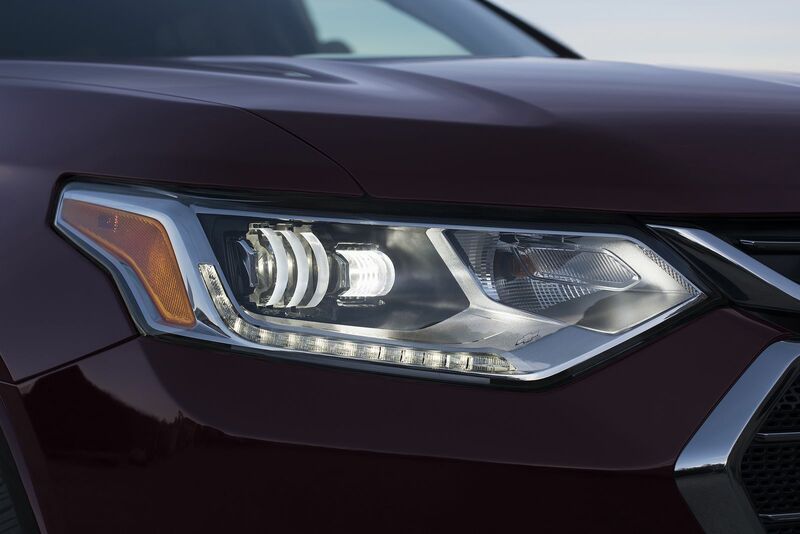 The grille works and it’s simple yet it stands out. 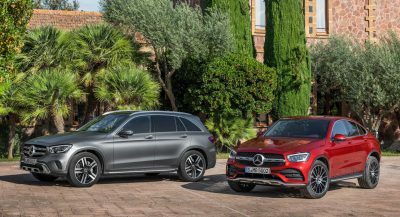 The shape is also SUV like so I appreciate that change from the predecessor. MUCH NICER THAN THE GMC. 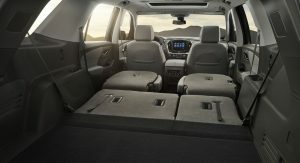 What’s up with all these SUVs and crossovers. What year is this? 2004? You are old and bitter, aren’t you? 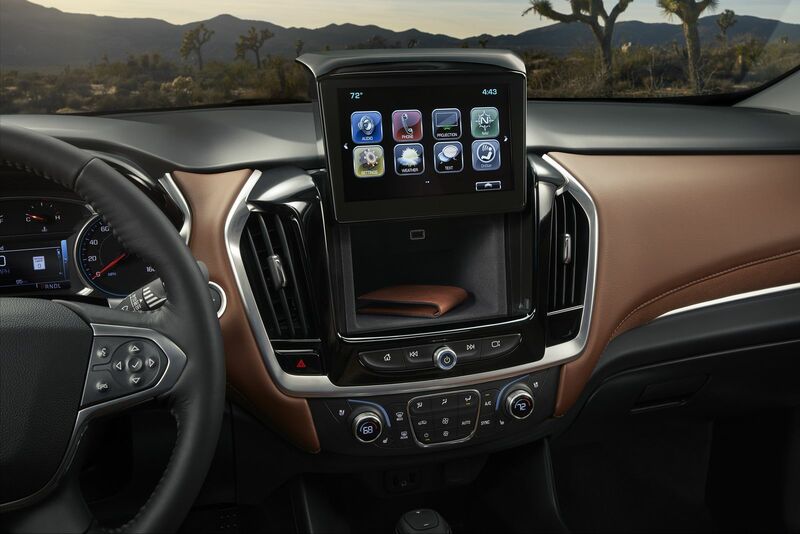 The crossover market is huge and still growing around the world. 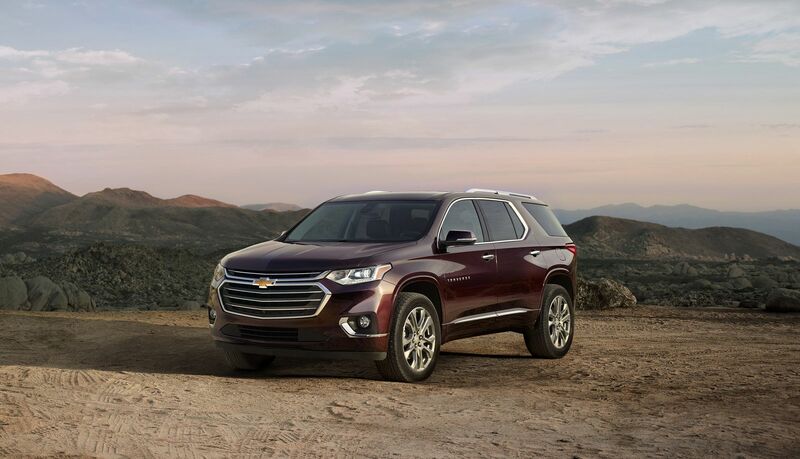 SUV’s and crossovers are more popular than ever. They are the big sellers not only in the USA but in many different countries. And guess what…. in countries where people can’t afford them, the majority of those people would still like to have one. as if they are both cross-dressed to me!! Yuuge. 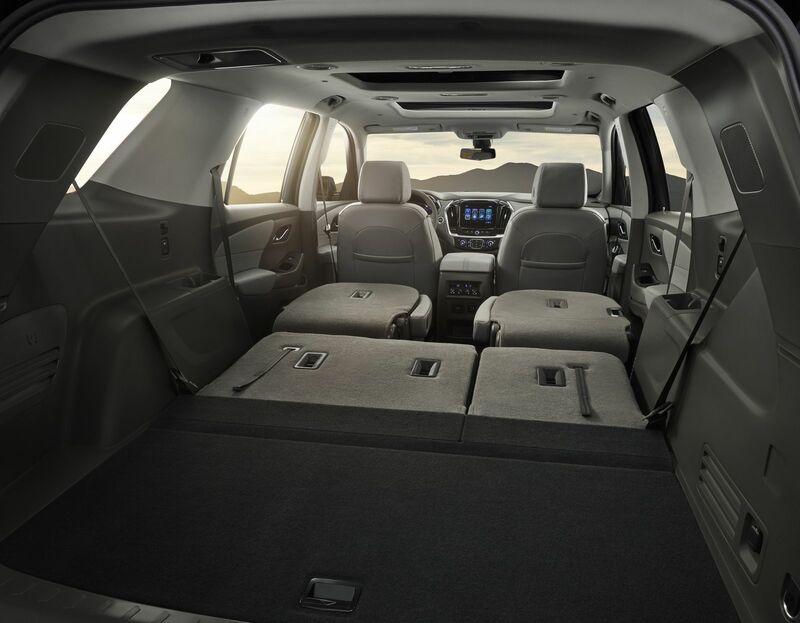 Makes more sense for families than a Yukon, I guess. Yukon is great. 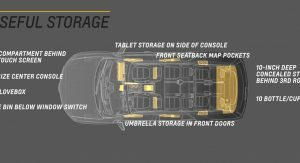 But this is definitely more practical and efficient for most. This redesign fixes the major issues i had with the current gen. Handsome design. Wow. I think this looks great! I won’t mind one! Looks good! More modern and masculine. 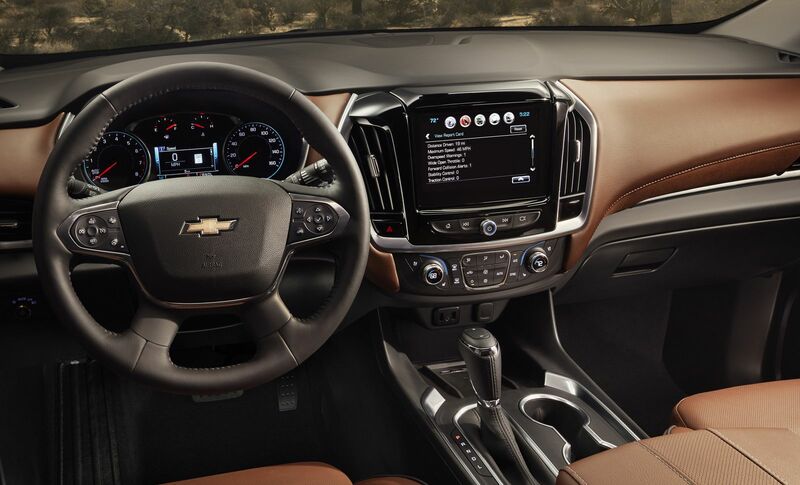 Love the interior. Looks like a recycled last generation GMC Arcadia. 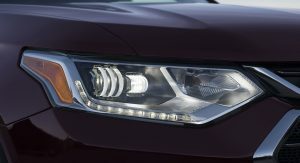 A longer Equinox that [email protected]#$%^ an Acadia. That thing is hot! Check out the black model pics on other sites…even cooler. 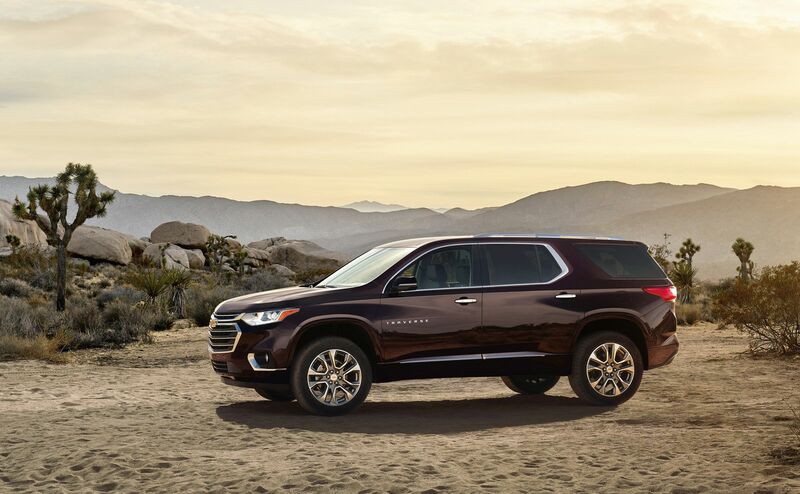 Mix between NG Equinox and Tahoe…even Impala mixed in. Very good mix. 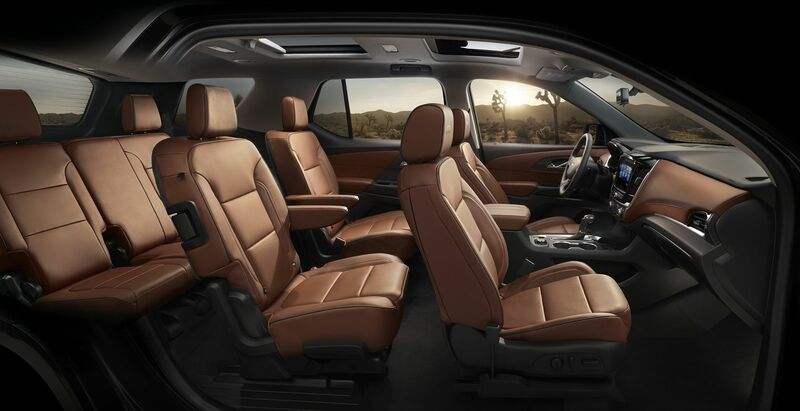 And interior is spot on. This thing will sell like hotcakes. 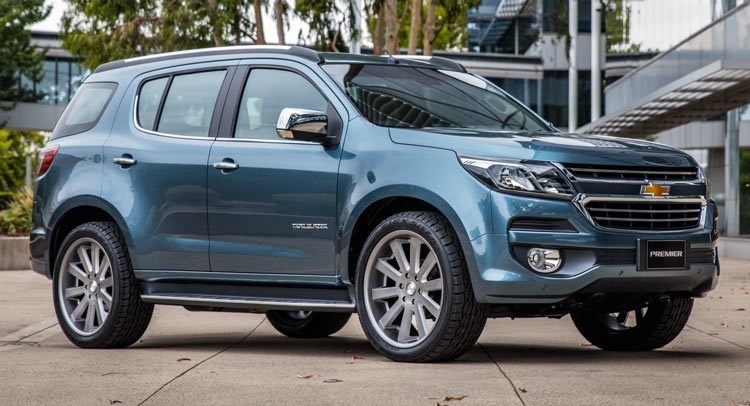 Very similar face to Trailblazer/Global Colorado. 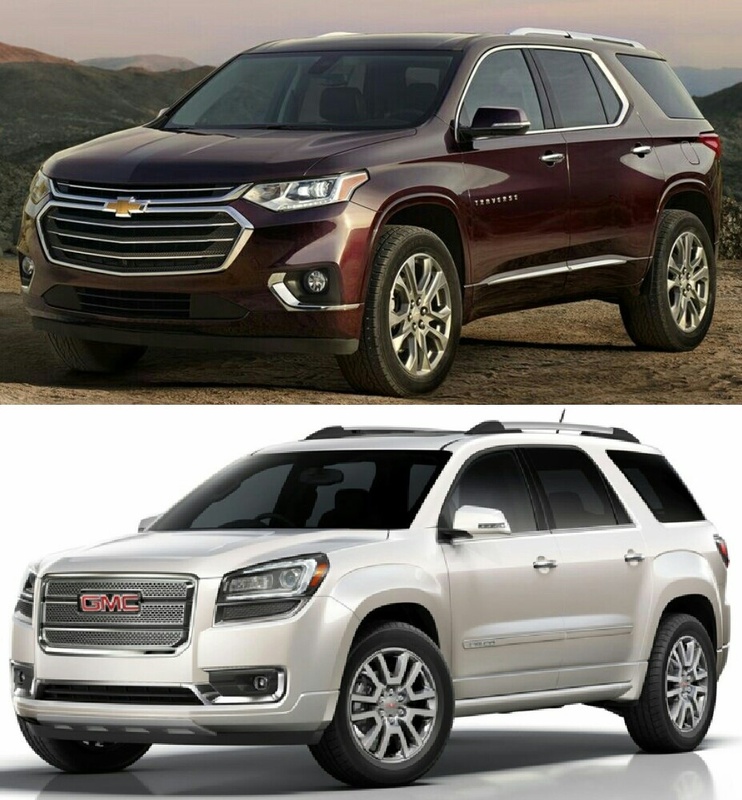 so if the cross over looks like the suv then what the hell is tahoe doing? 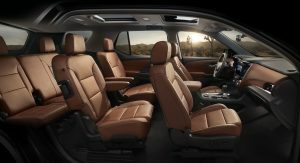 From the back it kinda reminds me of the Grand Cherokee but overall it looks like a mini Tahoe and looks really nice. 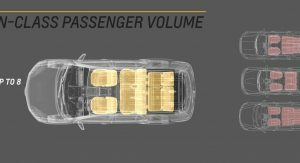 Previous PostPrevious Detroit 2017: Nissan Rogue Sport Aims To Strike Gold For The Company In The U.S.